This entry was posted in 2015 DAKAR, INFORMATION. 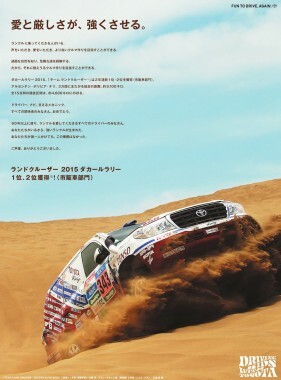 This entry was posted in 2015 DAKAR(after), INFORMATION. This entry was posted in 2015 DAKAR(after). I complete the full distance of Dakar Rally 2015 safely. This is my 5th won at the class for me. My challenges to stock car category were 8 times include my Nissan era and 5 times victories in 8 time means my winning rate over 50% and it is higher winning rate than Ichiro of MLB lol. However it was not easy to win the race this time. I could not exercise my true performance due to my throat disordered from year end of 2014 in the first half of the rally. I broke my car sometime even turned over after the half way. What a mess. It was not the driving that capture the victory. But a bit of luck on my side and I could have a lead because the 2nd car troubled during the race. After that, we joined hands sometime and ran together for the goal to succeed the one-two finish. We did boundary-pushing battle at last of the rally and we won. I was so much assisted by the mechanics and I could not grab the victory without the support of 2nd car. The victory that we all got together as one team. I want to say thank you from the bottom of my heart. I’m really grateful to my sponsors and fans who gave cheers for me too. Especially 2nd car’s run during the race was amazing this year and if they did not have radiator’s trouble in the first half of the rally, I couldn’t be the winner. I am sorry for having caused fans so much worry that ugly trouble happened in the team. But I had to fight with my pride to outrageousness thing that trample down my life as the rally driver and the efforts by the team crew. I wrote about it in my Facebook already, the director of the team ordered me, that I give up the top and hand over it to 2nd car. I think I must show the respect for the team order as the factory team driver. That is why I need a definite reason too. For example, make an appeal as French driver’s win or recommend a company member as a navigator, those are allowable reason. I don’t have any counter for it. But the director did not tell the reason about his order. 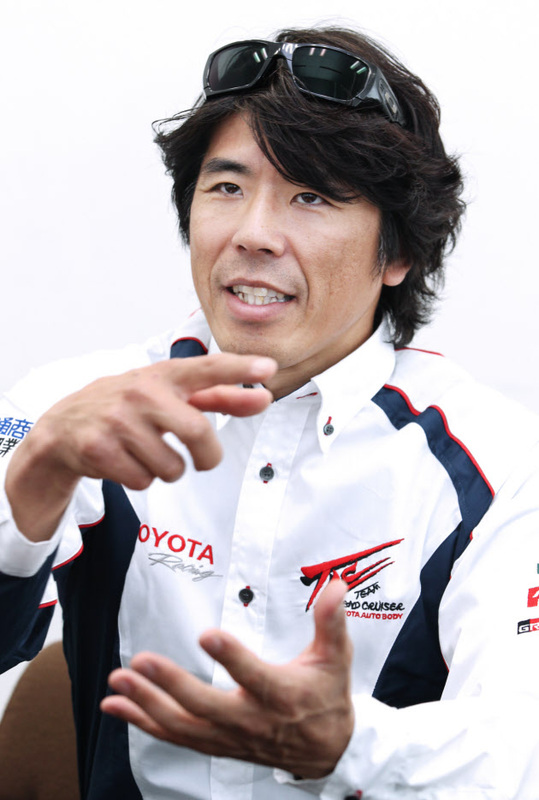 I talked with the chief mechanics and the crew of 2nd car. I talked to another company member of Toyota Auto Body. Then I found there was no priority who must be the winner in Toyota and Toyota Auto Body. All of the crew arrived at a conclusion that was I didn’t have to give up the top at that time. It means the director’s order was not to think about the business advantage and we found it related to personal thought. It was not a team order. I am thinking about I have a lot of responsibility for this trouble and I perturbed the people. So I stand down from the driver’s seat of TLC’s 1st car and stop my activity of the race. I am sorry that I blow the celebratory atmosphere for 5th win and the championships for 2 years but this is the only way to take my responsibility for this trouble and I was against the order with my preparation. I still believe my decision was right. It ended up like this. Please wish me and TLC a good luck. 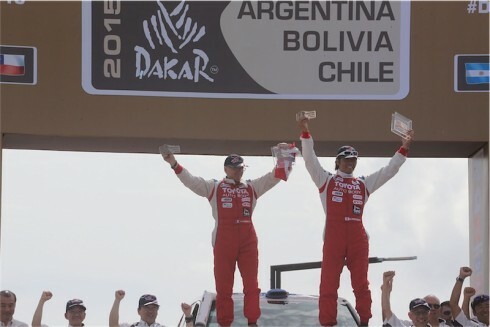 Takahiro Iwase CEO of Toyota Auto Body pleased so much and Akio Toyota CEO of Toyota Motor Corporation gave to me the message of congratulations after the rally. The team members and I stood on the podium with the pride and the confidence at last. 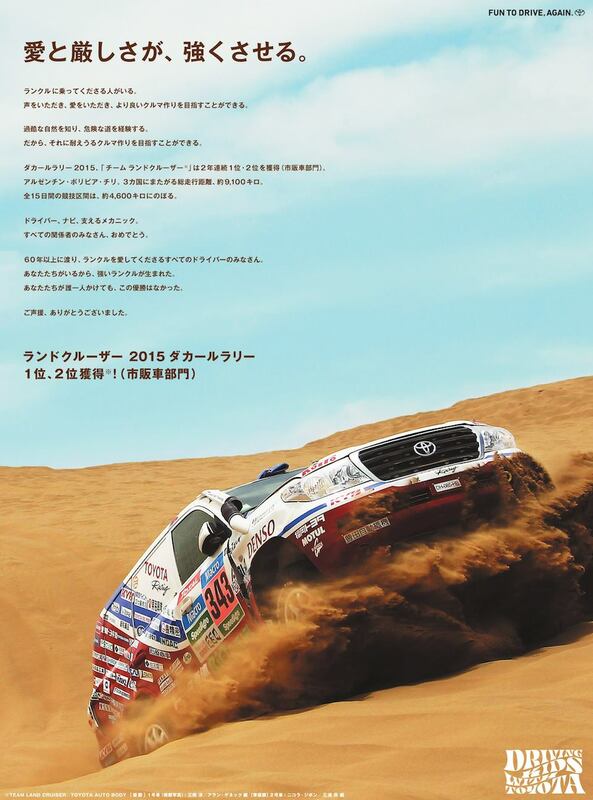 This entry was posted in 2015 DAKAR(day 13).